Water heaters are one of the most crucial aspects of your home’s plumbing. Don’t believe me? See what happens during winter in Columbia, MO if yours isn’t working properly. 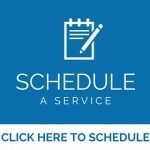 In all seriousness, it’s rarely an ideal time to get your water heater replaced, but it’s never a good time to have a dysfunctional water heater in your home. There are many ways to detect that your water heater might not be functioning properly. If it’s past the point of repair, it might be time for a replacement. The letter represents the month in respect to its order in the alphabet. So in the example C127321865, C=March because C is the third letter in the alphabet and March is the third month of the calendar year. The next two letters represent the last two digits of the year it was manufactured. So in this example, the 12 represents 2012. Therefore we know that the water heater in this example was manufactured in March of 2012. Age is the easiest way to determine if it’s time to get a new water heater, but there are other indicators. Excess Water Around the Base – As the water heats up, it expands and therefore causes the tank of your water heater to expand with it. Over time this can cause the tank to crack which can lead to leakage. Rusty Water – If you notice rusty residue in your water this is obviously an issue that needs to be addressed and could be due to a faulty water heater. You can check this by draining the water heater and then checking the water for rust. Irregular Noise – Over time sediment can build and harden at the bottom of a water heater. This can cause rumbling and other noises from the machine which is a sign that a leak may occur in the near future. If your water heater is making irregular sounds, it is time to get a new one. It could be a positive reason that you’re looking for help regarding a water heater. Perhaps you just purchased a new home and need to install your first water heater. If that’s the case you will want your water heater installed by an expert with dozens of years of experience. All Star Plumbing in Columbia, MO has that expertise and experience, plus we are local so if there ever is an issue you don’t have to worry. 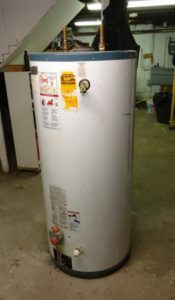 If it’s to replace an old water heater, we can do that too. Call All Star Plumbing for all of your water heater replacement and installation needs!